Rehydrate and soothe dry, irritated skin with Amerigel® Care Lotion’s advanced deep penetrating formula. The Care Lotion’s quick-absorbing blend of ingredients work to soften and exfoliate corns and calluses while moisturizing to promote healthy skin. The hypoallergenic cooling formula is gentle enough for sensitive skin, non-greasy, fragrance-free, oil-free, dye-free and will not clog pores. 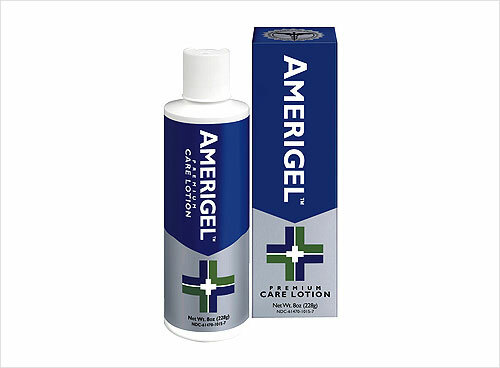 The Amerigel® Care Lotion has earned the APMA Seal of Approval and is recommended by Podiatric Physicians for Diabetics daily skin care.